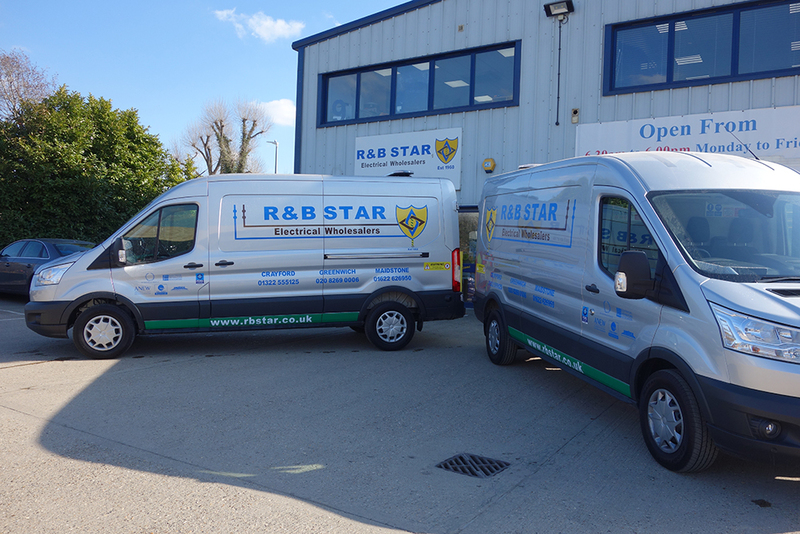 R&B Star have further invested in their fleet of vans with the addition of two new Ford Transits in March. This means our fleet now consists of 13 vehicles able to service our customers in London and the South East. Our vehicles are built to a bespoke specification due to the nature of the projects and construction sites we deliver to. The vans are long wheel based and medium roofed to allow us to deliver longer products e.g. conduit and not comprise on the weight allowance for the vehicle. The vans are also fitted with auto stop start, built in Sat Navs, reversing cameras and air conditioning ensuring our drivers are equipped with everything they may need to assist in their jobs and reduce emissions. 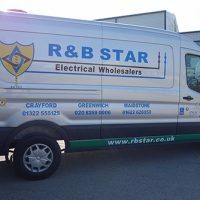 Due to the types of construction sites our drivers deliver to the vans are also fitted with LED loading lights as we offer customers early morning delivers ensuring our drivers are safe, reversing alarms for safety along with amber flashing roof bar and 4-point wig wag lights for additional safety whilst on site. Alongside our bespoke fleet of vans, we have achieved the FORS Silver Accreditation. 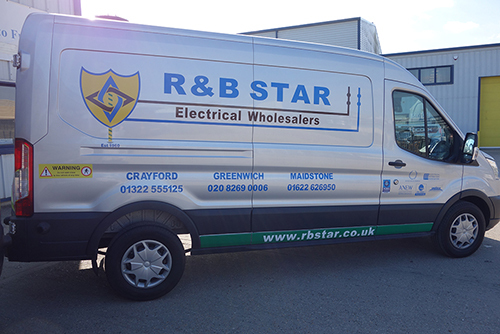 The scheme which encompasses safety, fuel efficiency, vehicle emissions and improved operations fits well with the company’s values and is something everyone at R&B Star is committed to. We also actively promote training to all our staff; our drivers have taken park in the FORS Van Smart Training. This programme is endorsed by DVSA and aims to create long-term behaviour changes by bringing about professionalism amongst drivers.